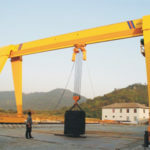 10 ton gantry crane is a safe and efficient lifting device adapted for both indoor and outdoor uses, such as machine shops, freight yards, shipyards, construction sites and railway terminals. 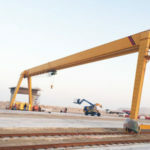 The gantry crane 10 ton comes in a variety of forms and sizes to suit your applications, including single beam, double beam, truss girder, semi-gantry crane and mobile gantry crane. 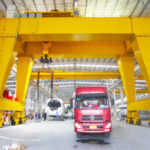 With so many types of cranes, you need to specify your lifting requirements to locate a crane that works towards for your goals. 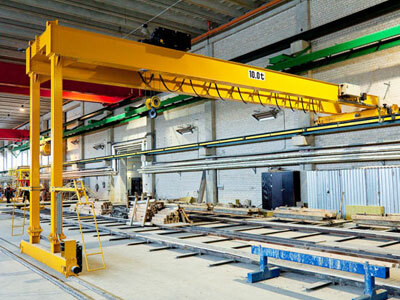 Single beam gantry crane is the most common form of lifting equipment used for 10 ton lifting applications. It features low cost, reasonable structure, high reliability and great durability. 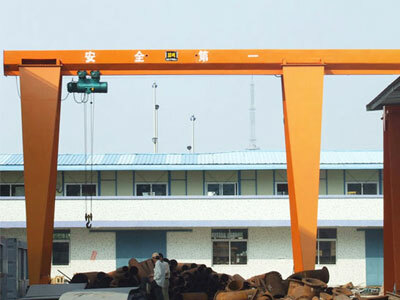 According to the supporting leg construction, the single girder crane can be classified into A frame gantry crane and L-shaped gantry crane. 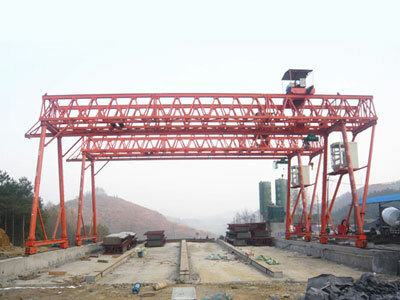 Double girder gantry crane, however, provides higher efficiency, greater lifting speed and work duty than single girder lifting system. It is an ideal option to perform frequent and heavy duty lifting tasks. 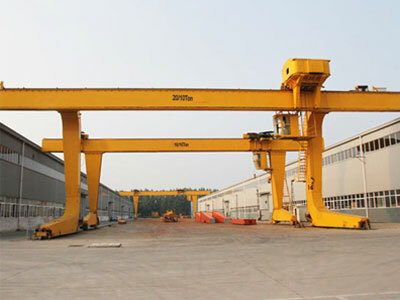 The double girder crane can be designed into A frame or U frame to handle different types of loads. 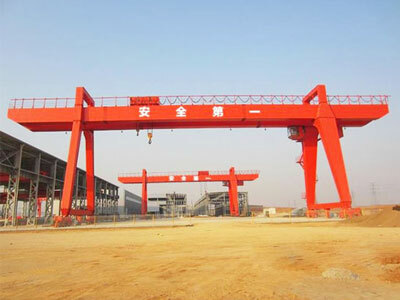 Semi-gantry crane, as the name implies, is a combination of half gantry crane and half bridge crane. 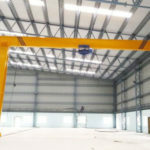 One of the most distinctive features for that crane is that it can be installed below a large overhead crane without obstructing the overhead lifting operations, which will help cover an extensive floor space and improve working efficiency for your plants. 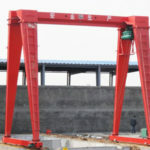 If you need to lift and move large items in outdoor strong wind areas, truss gantry crane can be a perfect choice since it delivers excellent wind resistance. It falls in two main configurations for your applications, including single girder and double girder. 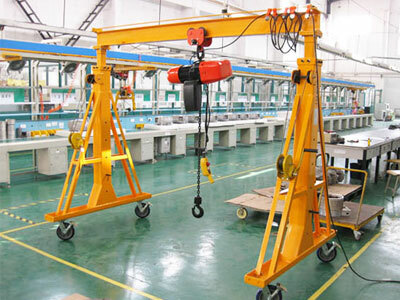 As known as 10 ton portable gantry crane, it provides great mobility and maneuverability for the lifting operations. This particular crane can be wheeled anywhere in your working areas or between different locations freely. 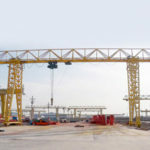 If you are unsure as to which type of gantry crane can perfectly suit your needs, talk with our experts online or via email and discuss your lifting requirements with them. We are more than happy to assist you to find a proper solution. All of our 10 ton gantry cranes are designed for the utmost efficiency, safety and flexibility of lifting operations. If the given technical parameters cannot meet your requirements, we provide custom design. At Dafang company, various options and accessories are available to help configure the most affordable and powerful solution for your applications. 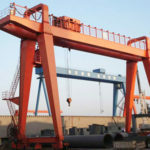 When it comes to the gantry crane design, several main parameters should be mentioned, including rated load capacity, lifting height, span and lifting capacity. 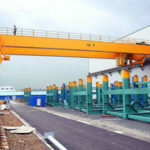 In the selection of a 10t gantry crane, another important factor you need to consider is the possibility of your business expansion. A 10 ton crane may be strong enough to suit your current demand, but a slightly larger one will save cost for you in case you expand your business in the near future. Whatever your requirements, we will design a cost-effective and proper solution for your business. To get a competitive 10 ton gantry crane price, contact our sales team today!